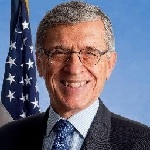 Tom Wheeler, chairman of the Federal Communications Commission, announced that he will leave the agency on Jan. 20, 2017. “It has been a privilege to work with my fellow commissioners to help protect consumers, strengthen public safety and cybersecurity, and ensure fast, fair, and open networks for all Americans,” Wheeler said in a statement. While it is customary for the FCC chairman to resign going into a new administration, Wheeler had previously refused to comment about whether he would step down once President Obama left office. Wheeler’s departure leaves the FCC with three confirmed commissioners so far, heading into the Trump administration: Democratic Commissioner Mignon Clyburn, Republican Commissioner Ajit Pai, and Republican Commissioner Michael O’Rielly. The Senate adjourned on Friday without confirming Democratic Commissioner Jessica Rosenworcel to stay on past Dec. 31, despite Senate Minority Leader Harry M. Reid and Majority Leader Mitch McConnell’s claim that they were working on a deal to carry out her confirmation. Wheeler volunteered to resign last week if the Senate would confirm Rosenworcel. President-elect Donald Trump is likely to make his own decisions as to who should fill Rosenworcel’s and Wheeler’s spots on the commission. The Republican commissioners, Pai and O’Rielly, have vowed to overturn net neutrality and other Wheeler-era regulations once the commission enters a Republican majority.